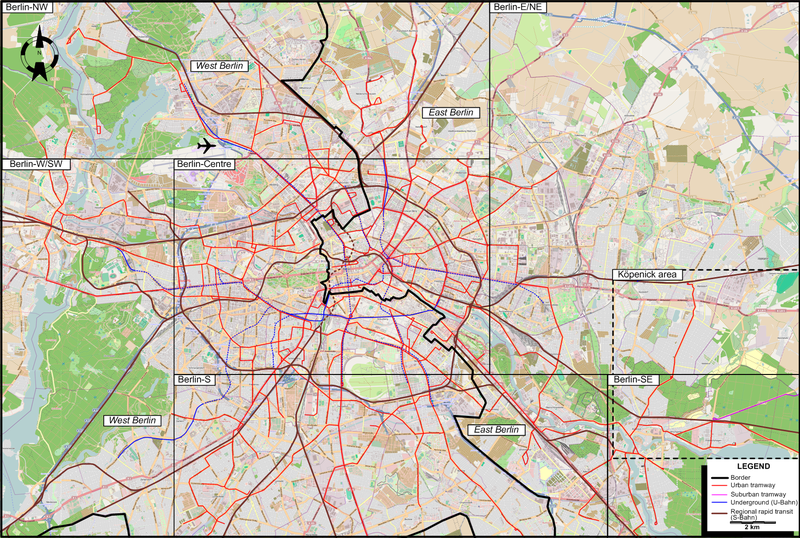 Berlin on the last day of operation of West Berlin tram lines 28, 29, 41 and 68, and of the corresponding abandonment of tram tracks to Tegel and Wittenau. 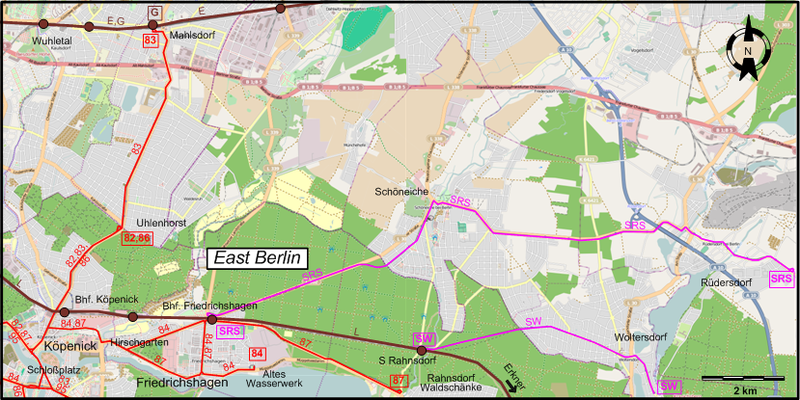 It was also the first day of operation of the extension of U-bahn line C to Alt-Tegel. 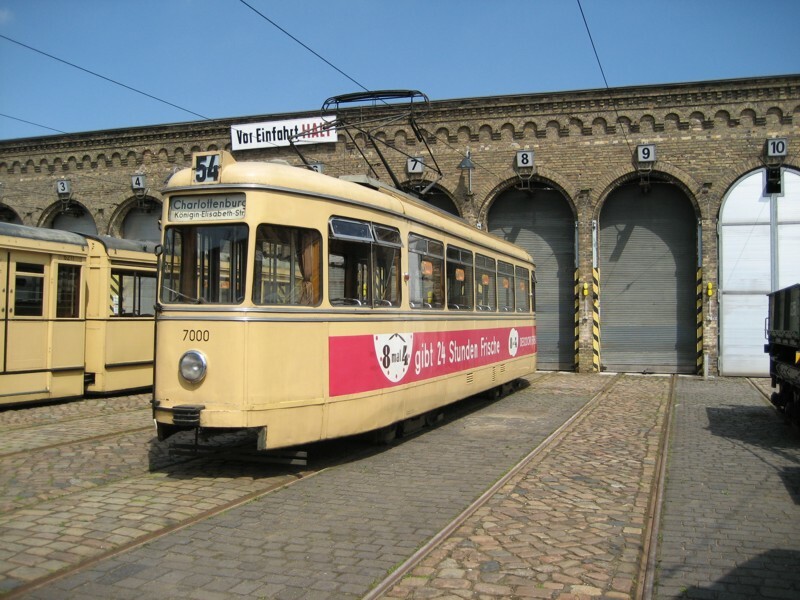 Note: In 1958, Berlin was officially under four-power occupation and was not part of either the Federal Republic of Germany or the German Democratic Republic. 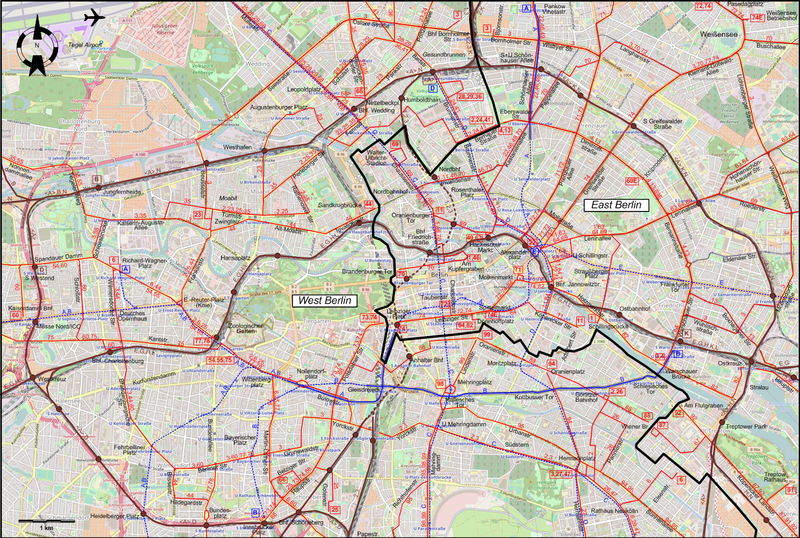 West Berlin consisted of the jointly administered American, British and French zones of occupied Berlin. 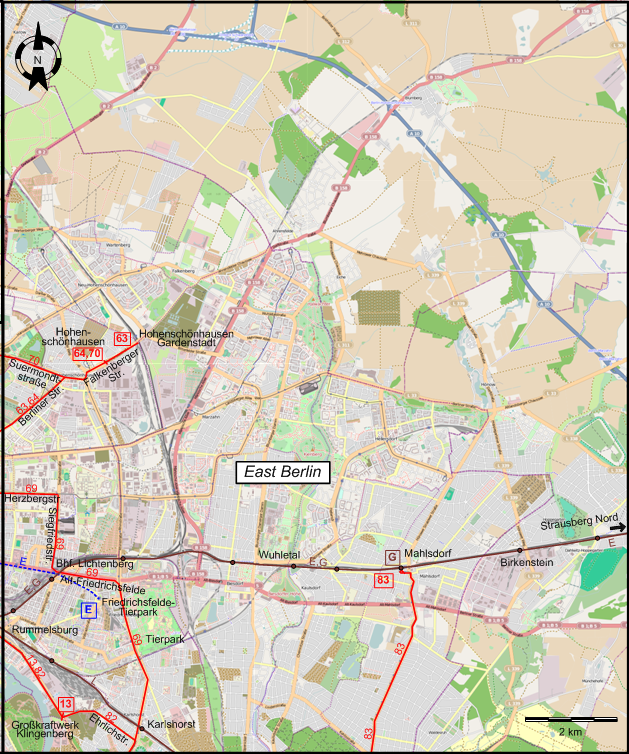 East Berlin was the Russian (USSR) zone, and was administered separately. 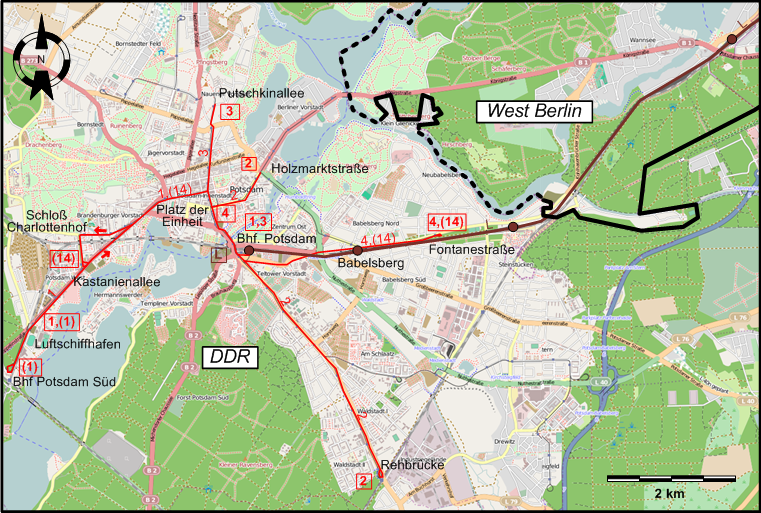 Potsdam and the other areas outside Greater Berlin were part of the German Democratic Republic (DDR). 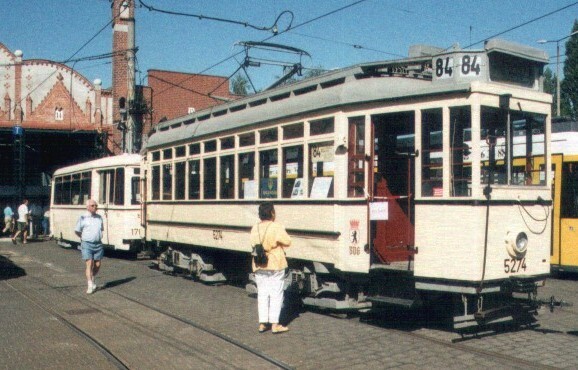 DISCONTINUATION DATES OF TRAM TRACKS BETWEEN 31 MAY 1958 AND 1 MAY 1960 (affected route numbers in parantheses). 24 Bhf. Wollankstr. - Prinzenallee - Badstr. - Bhf. 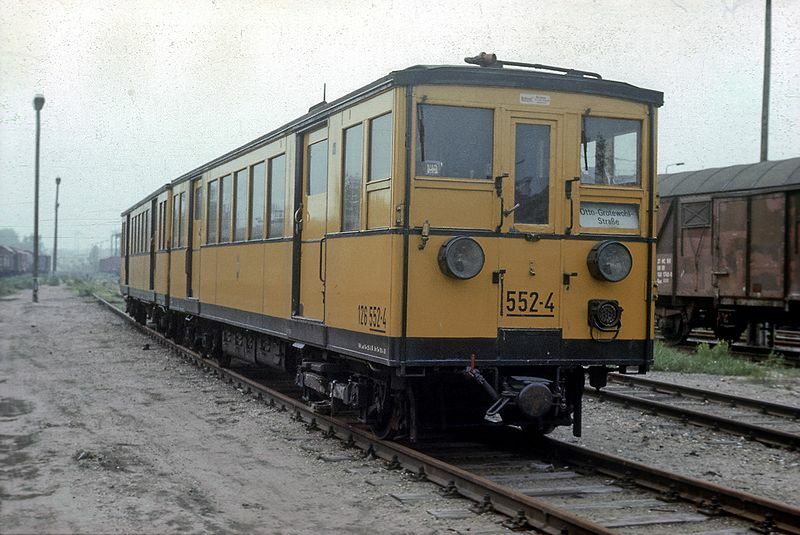 Gesundbrunnen - Brunnestr. - Bernauer Str. 40 Dahlem – Dahlem-Dorf – Rathaus Steglitz – Steglitz Birkbuschstr. - Siemensstr. 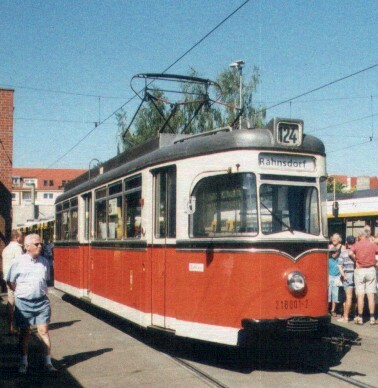 41 Alt-Tegel – Berliner Str. - Seidelstr. – Humboldtdtr. - Reinickendorf – Residenzstr. – Badstr. – Bhf. 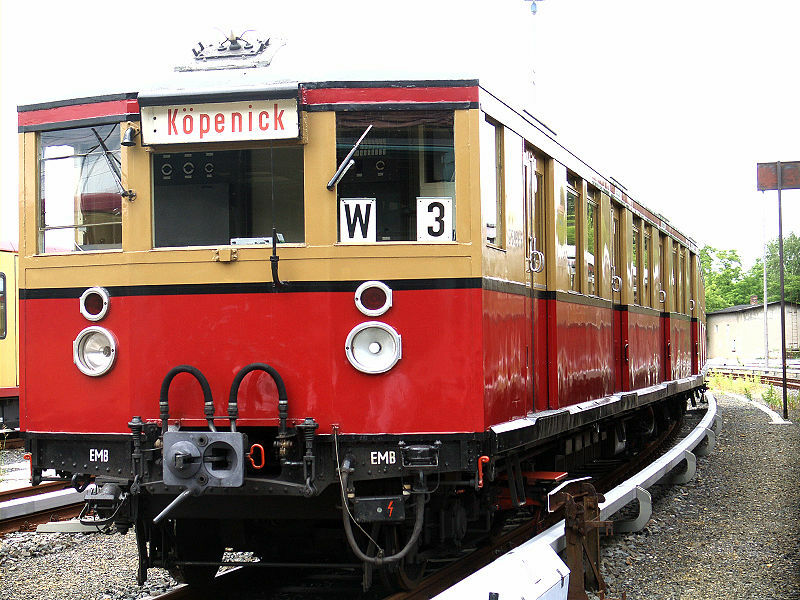 Gesundbrunnen - Brunnestr. - Bernauer Str. 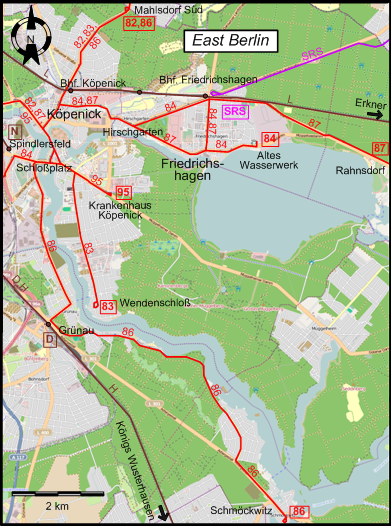 55 Zoologischer Garten – E.-Reuter-Platz – Richard-Wagner-Platz – Schlossbrücke - Nonnendammallee - Siemensstadt – Am Juliusturm – Spandau – Spandau Nauener Str.